Javier Peña Galiano is an architect by the ETSAM in 1992. For the last 12 years, he has been a professor at several universities and workshops. Since 2010 he is a Master professor at IAAC and external professor of project work at ESARQ UIC as well; from 2001 until 2011 he was associate professor of project work at the School of Architecture in Alicante. In his professional life, he founded XPIRAL Architecture, active since 1997 with head offices in Barcelona, Murcia and Madrid. As head of XPIRAL team, he leads the development of several proposals that explore alternatives to problems, supported by new technology and multimedia resources, beyond the architecture, urbanism and design. He has also participated in several panel discussions, lectures and meetings in Barcelona, Lima, Moscow, Madrid, Sao Paul. He participated in the 8th Architecture Biennale in Venice, 2002, the exhibition of Spanish “architecture-On-Site” at the MOMA in New York, the Botanical Garden of Madrid, 2006, and in the international exhibition of Spanish architecture “innovación abierta” celebrated in Panamá. 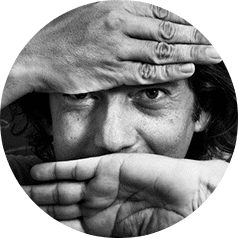 Javier Peña has spoken at various international exhibitions and workshops such as the V Biennale of Architecture and Design of Sao Paulo, 2003; Workshop of Architecture University of Alcalá, 2004; “7 Ideas of Beauty”, Madrid 2005; “talent and spirit”, Santander in July 2005. Has been honored with numerous awards, among them the Architecture Prize Europan 6; FAD 2000 Finalist in the Awards Saloni; Second Prize ATEG 2006; First Prize in Contest of the Municipal Pool Mazarrón, Murcia 2006; First Prize Quarter of Peace, Murcia 2006; selected in the Prizes Mies Van der Rohe 2009; finalist in ONE PRIZE 2011 of New York.